This March 23-30, NISGUA is partnering with New Mexico State University to host a week-long exchange between Indigenous undergraduate students and Mayan environmental defenders. 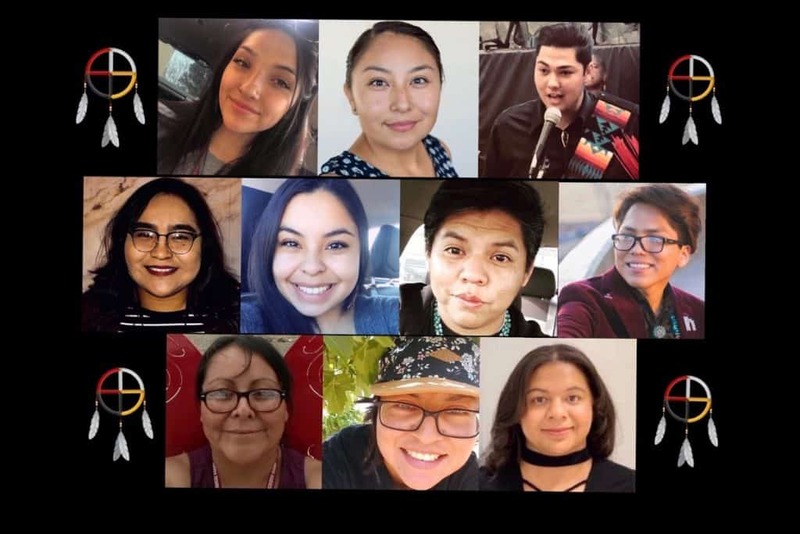 Ten NMSU students will visit with NISGUA partners in the Chixoy and Copón Rivers watershed to learn about their grassroots organizing model that builds community-level Indigenous leadership to defend ancestral territories against the imposition of the Xalalá megadam. Participants will also share about their people’s local struggles and observe leadership in practice through agriculture, education, and ceremony. This delegation concludes a year-long campaign focused on Indigenous organizing and water defense. To learn more about our partners in ACODET (Association of Communities for Development and the Defense of Land and Natural Resources), watch their recent press conference presenting an international statement on Indigenous self-determination and the right to consultation. 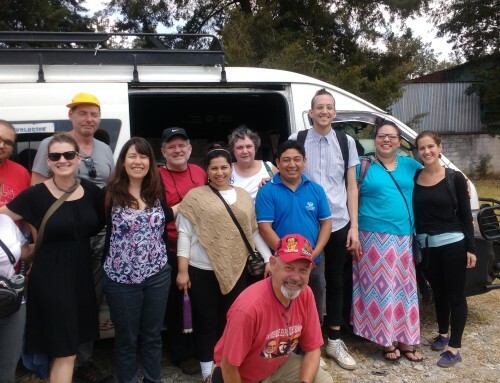 You can support the delegation by contributing to the group fundraiser to cover international airfare to Guatemala for 10 Native students. I am Hopi from the upper and lower villages of Moencopi. I have lived in New Mexico my entire life and have developed a deep connection with Mother Earth from my early exposure to nature. I am in my third year studying Fish, Wildlife, and Conservation Ecology at New Mexico State University and am pursuing a minor in Range Science as well. My trajectory in life encompasses natural resource conservation and restoration. I intend to give back to my communities in helping promote a sustainable social-ecological system. I am excited and grateful to share this opportunity alongside these amazing Indigenous students to visit Guatemala and witness the biological and cultural diversity. 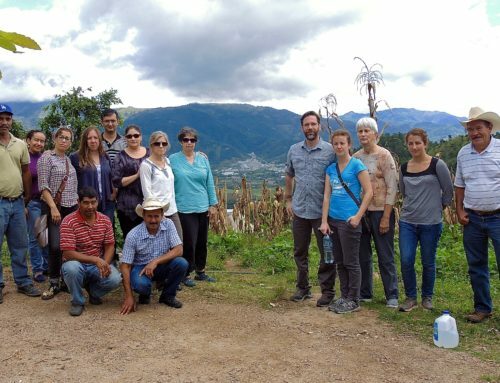 I am excited to learn about the way the Indigenous people of Guatemala incorporate community involvement in environmental restoration, agriculture, and nurturing Mother Nature. I hope to bring back ideas about how I can influence change in my communities through community-based restoration to promote a healthier, sustainable environment. Hello, my name is Antoinette Benally I was born in Farmington, NM. My family moved to a small border town near the Navajo reservation, Waterflow, NM, when I was 6 or 7 years old. I went to Elementary school on the Navajo Reservation and continued until I was in 8th grade. I then started going to school in Richfield, UT until my junior year in high school. I came back to my hometown and graduated from Aztec High School. Home of the Tigers. Growing up I never learned my native language. I remember my parents dropping me and my siblings off with my Shíma Saní (maternal grandmother). She speaks very little English, which is surprising because I never picked up on the language. It may be because I was always outside helping on her farm with my siblings, uncle, and cousin; or playing in the canyons. After I graduated High School in 2013 I started college that same summer. I took some semesters part-time, but never took any semesters off. I have two silly daughters. Lilly and Alexa. I continued in college throughout both pregnancies and after birth. While I was pregnant with my second daughter I became a single parent. I was finishing up my veterinarian assistant degree the semester I was supposed to go into labor with her. I never planned on becoming a single parent, but it has taught me how strong I am. One day I know they’ll look back and admire their moms’ resilience. I’m currently enrolled at NMSU majoring in Pre-Veterinarian. This upcoming Spring Break, I will be traveling to Guatemala. Commencing on this journey; I want to be able to influence my Indigenous people that no matter what struggles you go through, you will eventually see the light to a better life. 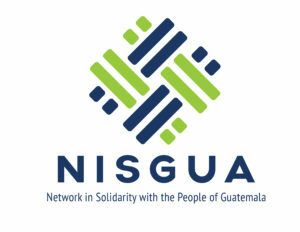 I want to learn about the Guatemalan community’s struggles and how they overcame them, or how they’re overcoming them. I want to know how they keep their tradition and language thriving throughout everything that their people have been through. I never thought that I would be learning about my language and culture away from the Navajo Reservation, but it’s astonishing how much I’ve learned so far. While in our group meeting we were given poems to read out loud. I felt like the poem that I was given was meant for me: “The manifestations of many cultures sit behind glass museums. Intricate beadwork woven with care now labeled an artifact, identified only by the name of the Settler collector. Fragments of ceremonies separated from purpose to act as teaching tools of the colonizer. Viewers rush to the next exhibit, learning their history.”23 years later, I would have never thought that I would be learning about my people in museums and through books. Some information is wrong, and I’m glad that I can ask my elders, or my Indigenous people about our language, culture, and traditions. A’he’hee (Thank you). I am of Jicarilla Apache and Indigenous Mexican descent and grew up in the city of Denver, Colorado. In addition to working for the Indian Resource Development Program for the state of New Mexico, I also study Social Work at New Mexico State University. I aspire to one day start a non-profit organization to help urban Native youth reconnect with their cultural roots in a city setting as I never had the opportunity to really connect with my culture. I am also determined to help defend and protect our environment and Indigenous sacred sites which is why I want to do this exchange. To see how our relatives to the south organize their people will give me a better grasp on how to organize our communities here in the states to fight for Indigenous land, water, and rights. Ya’a’teeh! My name is Chantelle John. I am from Tes Nez Iah, Arizona and I am currently living in Las Cruces in my senior year at New Mexico State University, majoring in Accounting/Information Systems with a minor in Marketing. I am Big Water, Born for Bitter Water and my Paternal Grandparents are of the Hopi Clan. Back home, I grew up herding sheep/goats fully knowing that their sacred purpose was providing food for my family and I. That meant caring for them in terms of making sure that they had a reliable water source. In Arizona, I was fortunate enough to grow up with running water and I am very thankful for that. Seeing my relatives struggle within the area who did not have any running water when their closest water source was at their community windmill usually ranging within 10 to 40 miles and this affected me. This made me appreciate that even coming from a family with running water and electricity, I can use the resources and knowledge through the influence of education and potentially apply it to my community. decide the fate of your children. to Mr. Tilsen, a man of the plains. to create a sustainable storm. remind The People of their sophistication. The White Man said we would need him. I would like to absorb this experience while influencing the people of Guatemala with our strengths as Diné and how we strive to be strong with our tadadiin, prayers, stories, sacred mountains and ceremonies to prosper a life that will bring up young leaders and new leaders to make a difference in any way possible in school or at home. A’he’hee. Fun Fact: This will be my first time on a flight out of the country and first time ever taking a plane! My name is Charlene Juanico and I go to New Mexico State University to study Wildlife Science as well as minoring in Administration and Public Policies. My goals are to protect Indigenous lands, waters, and the wildlife that crosses through. This is a goal for me because I feel that the treaties that were made with Native American people aren’t “valid” anymore and feel as though I can help protect those who have no voice. I created this goal right after the Dakota Access Pipeline situation had happened. This being said, I am very interested in going anywhere in the world to help make an impact on protecting land, water, and wildlife. Which is why I feel as that this opportunity to go to Guatemala will help benefit me and the people I come across. Yá’át’ééh, shí éí Reyaun Colin Francisco yinishyé. Naka’íí’ Diné’e nishłį, Kinyáánii bashishchiin, Maíí deeshgizhníí dashicheii. Ákót’éego Diné nishłį́. My name is Reyaun (Like Crayon without the ‘C’) Francisco and I am of the Mexican People clan, born for the Towering House People clan, and my maternal grandfather is of the Coyote Pass People clan; This is who I am and how I introduce myself in my Native language, Diné. I am a first generation university student studying Government and International Relations. I was selected to participate in the Indigenous Environmental Leadership Exchange through Aggies Go Global, where I am excited to be able to learn from a local Mayan community about their efforts to protect their land and water. Thank you— A’héé’héé! My name is Tiffany Charley, I am a member of the Diné People. I am from Kirtland, New Mexico and I am currently at New Mexico State University studying Horticulture and Soil Science. I am hoping to learn how to run a sustainable farm near or within the Navajo Nation. I grew up without learning traditional Diné values or speaking the language and I feel a continuous need to fill this void. Nor did I grow up farming or gardening so this too I seek to learn how to do. It is my dream to grow food and live in greater alignment with Indigenous culture and philosophy. I am looking forward to visiting a self-sufficient community. It will be invaluable to witness and take part in some of the practices of the Mayan people. I will be rewarded simply by walking among the people and vegetation in Guatemala and I am grateful to have the opportunity to incorporate this experience into my Indigenous and environmental science consciousness. Hello, my name is Totteona Gray and I am originally from Fontana, California. I am of a descendant of the Choctaw and Cherokee Native American tribes. I am currently studying Animal Sciences at New Mexico State University. My educational goals are to obtain an Md/Ph.D. I grew up in a family where my mother and father were both unable to obtain a college degree. However, my mom did complete several certifications within the medical field and used these to provide for her family. Throughout most of my life, my father was not in the picture and I was raised in a single parent home. My mom was able to provide all the love and support that other families with two parents had. She was able to raise three children who all attended college. My elder brother graduated with a bachelor degree and my elder sister with a master’s degree. I also grew up in a home with a mentally disabled aunt. This posed challenges and additional stressors because I had to help take care of her. Although my family is small, I wouldn’t trade them for the world. I was grateful to have grown up in a well-off neighborhood and not in the projects like my mother. Since my mom decided to pick up everything she knew and move to California at fifteen years old, her children have been provided the opportunity to flourish. During my high school years, my mom was forced to undergo medical retirement. At this moment, my life drastically changed as finances became an everyday concern. Since eighteen years old I have been working to provide for myself. No matter how hard life may seem, I always keep my head up and keep in mind that it could always be worse. In the future, I want to provide financial educational support to those who have faced some of these same challenges I have. I also want to serve as a role model for young minority men and women who feel that their goals are impossible and be an example of the impossible becoming possible. One of the main reasons I want to go on this trip to Guatemala is because the understanding that social factors impact health is ingrained in me. If individuals don’t have access to fresh water, land, and shelter how could they worry about their health? As a future practicing physician, I want to say what I mean and mean what I say. One way to put my thoughts and words into action is to stand by those whose basic necessities are being threatened. In my home, I turn on the water faucet and water flows out, but for these people, the river is their way of survival. As Indigenous people of the land, their right to water and land shouldn’t be compromised. The more I become engrossed in the challenges that these people are facing because of the proposed hydroelectric dam, the more passionate I become about this project. This experience is an opportunity for me to make an impact on the lives of the people there, but more importantly for them to impact me.